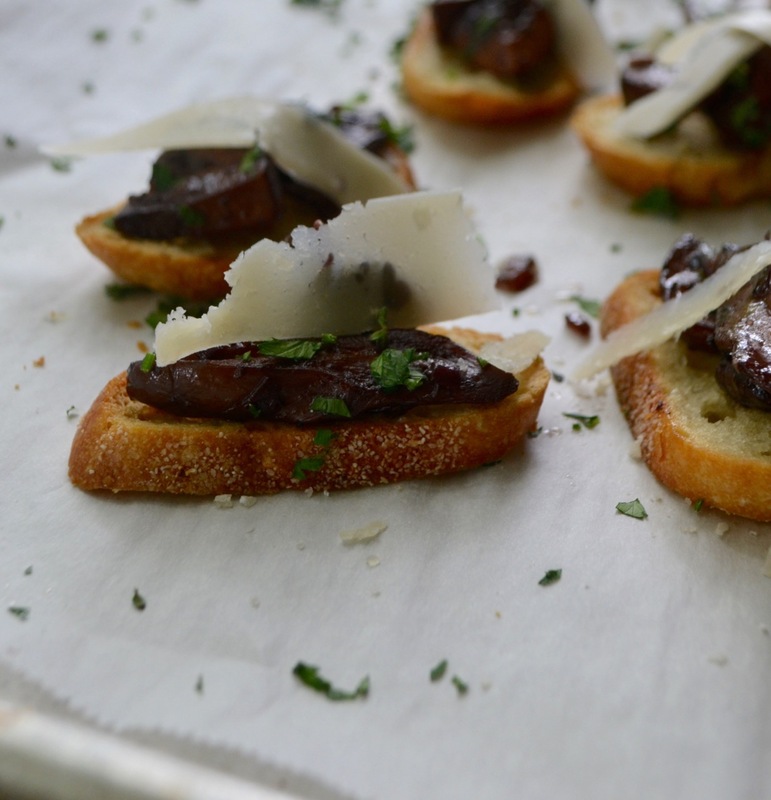 Spooned atop a still warm crostini and garnished with parsley and shaved parmesan sautéed wild mushrooms make a tasty start to any meal. But don’t relegate them to an opening act. Sautéed mushrooms are far more versatile and deserve a place on your table for breakfast, lunch, and dinner. Last week, I taught a demonstration cooking class to a group of women. 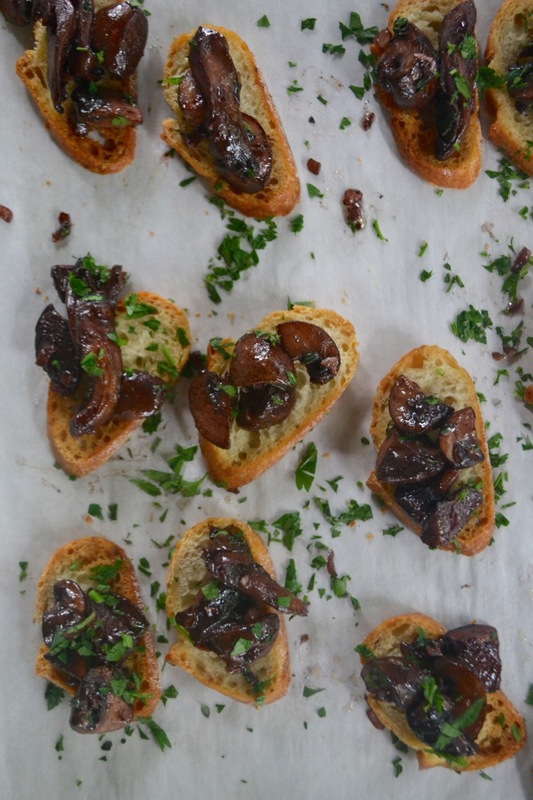 One of the recipes that I prepared was this appetizer recipe for Crostini of Sautéed Wild Mushrooms. 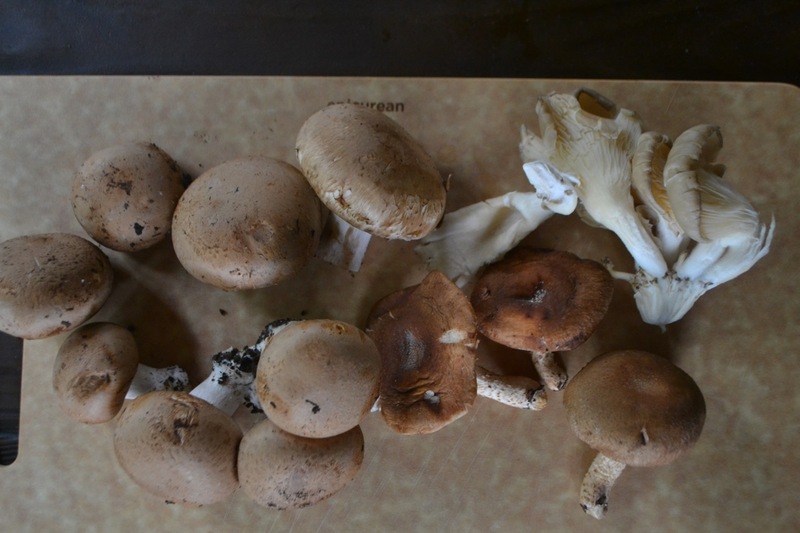 As the mushrooms cooked merrily in red wine, butter, shallots and garlic, one of the women present lamented her lack of time and skills in the kitchen. I pulled her to the stovetop, pointed at my skillet of mushrooms, and told her to pay attention. If you learn how to make these sautéed wild mushrooms, you won’t just know how to make a good appetizer. Looking for a simple dinner? Toast a large slice of bread, top it with a generous spoonful or two of these mushrooms, and pair it with a lightly dressed salad of mixed greens. Add a fried egg to your tartine (the French term for an open-faced sandwich) and people will accuse you of showboating. Keeping it simple with steaks (or chicken) on the grill, but want to add a special touch? Whip up a batch of these mushrooms for a flavorful side or add a little stock to the mix to make a hearty sauce to pair with your favorite grilled meats. Making brunch for friends? Nobody is going to complain about a spoonful of sautéed mushrooms gracing their omelet. Once you’ve mastered this version, mix it up by using different herbs, substituting white wine or dry vermouth for the red wine, and playing around with different types of mushrooms. 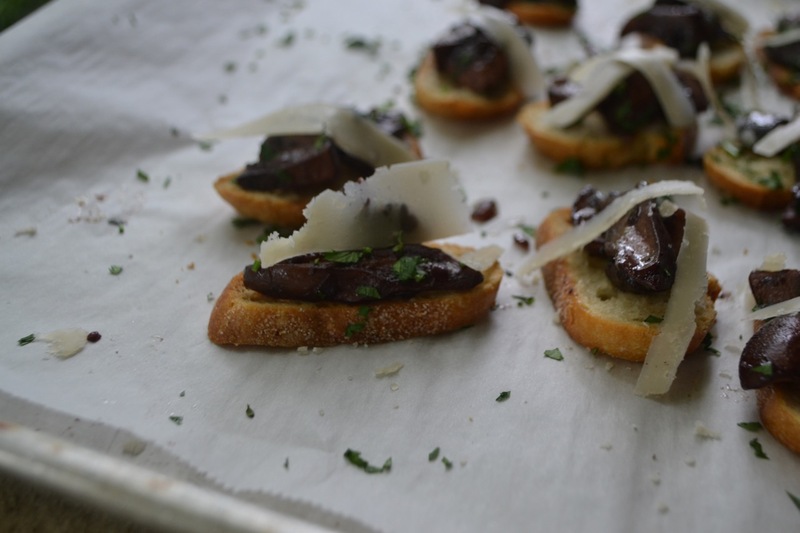 If lacking time, use pre-sliced mushrooms to pull dinner together fast. Trying to be healthy? Replace olive oil with butter. Looking to make people happy? Make sautéed mushrooms often. Happy cooking! For the crostini, preheat the oven to 400 degrees. Brush the bread slices with the olive oil and place on a baking sheet. Bake for 8 to 10 minutes until golden brown. Immediately upon removing from the oven, rub each toasted slice with the cut side of the garlic clove to infuse the bread with flavor. Set aside. Heat two tablespoons of the butter in a large, heavy-bottomed skillet over medium-high heat. When hot, add the mushrooms with a sprinkle of salt and pepper to the skillet. 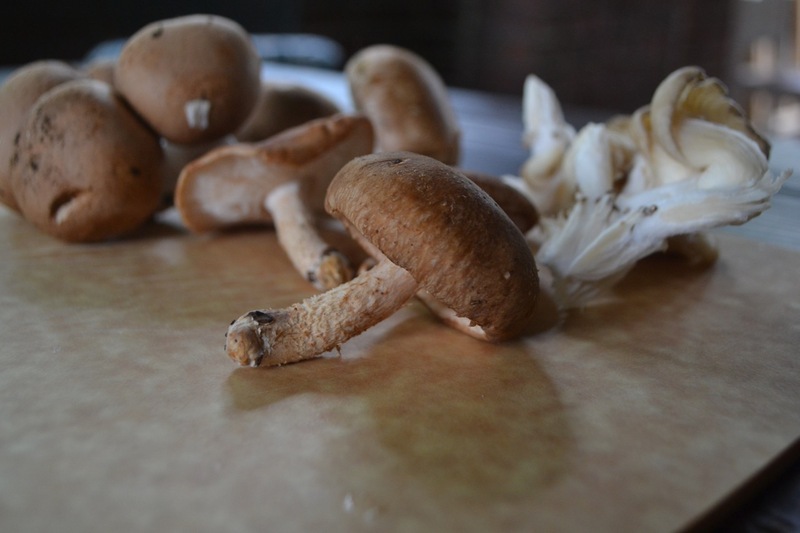 Sauté the mushrooms until lightly browned and beginning to soften, about five minutes. Add the shallot to the pan and cook, stirring frequently, for one minute. Stir in the garlic and cook until fragrant, about 30 seconds. Carefully add the red wine to the pan. Reduce until the wine almost completely evaporates. Stir in the remaining tablespoon of butter and thyme and cook until the butter has completely melted. Add more salt and pepper as needed then remove the mushrooms from the heat. Spoon a large spoonful of mushrooms atop each crostini. Garnish with chopped parsley and a Parmesan shaving and serve immediately.